This hat was knitted using the pattern I gave for “yer basic felted hat” with crocheted rings added. 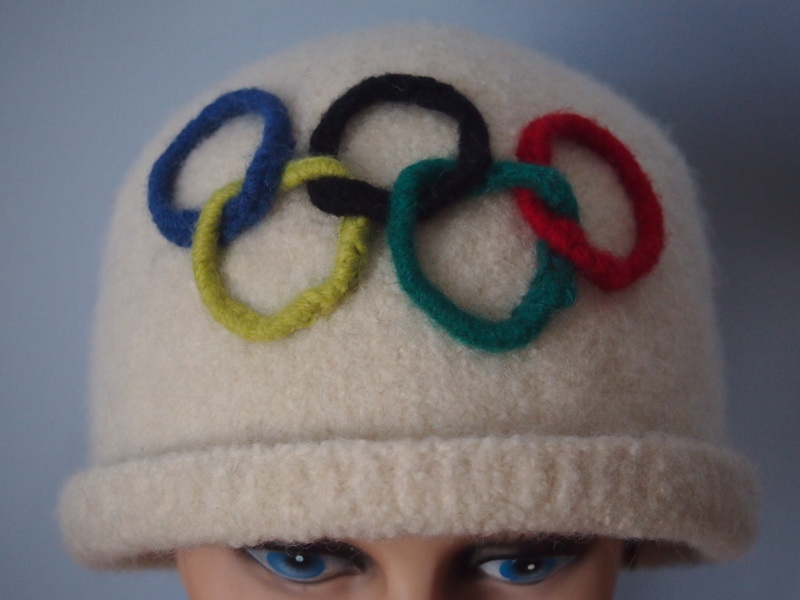 This entry was posted in felting and tagged felted hat, felting, knitted hat, knitting, Knitting and Crochet, olympic hat, Patons Classic Wool on February 11, 2014 by gillianknitter. You’ve got lots of company! I accidentally caught a bit of the figure skating 3 hours ago. I’m still watching it. I think I’m hooked.